Most lawns will greatly benefit from our turf care program. However, some lawns may be more deficient in nutrients and or have poor soils to grow in. Here at DalaCasa we can analyze your lawn to see what is really going on. If your soil ph is below optimum growing conditions, we can increase the soil ph by using concentrated lime. A soil test will be sent to a laboratory for proper diagnosis where we can review the results and discuss how we can make the corrections in order for you to have that lawn you been dreaming of. Disease can be found in any lawn in the Lake Norman Area. We have found the best way to manage these various diseases is to prevent them in the first place. Our program consists of an application every month from May – July. That will keep brown patch and other diseases under control. Prevent damage to your lawn by signing up for our program today. Certain insects can cause major damage in your lawn. 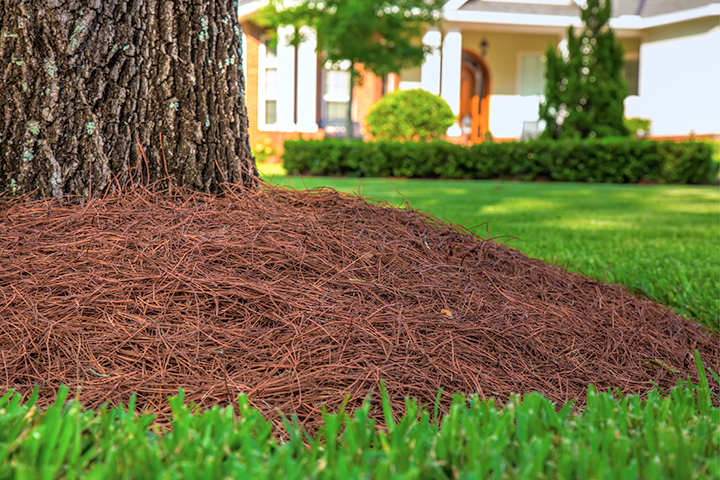 Insects like grubs and fall army worms can devastate a lawn in as little as one day. The greener your lawn is, the more likely insects will be attracted to it. This program is applied one time per year. If you lawn is weak and has many bare areas, it will need to be renovated. Our lawn renovation consists of cultivating the bare areas and then reseeding. By using our cultivator machine, it prepares the perfect seed bed making sure all the seed gets germinated. Then the following year, you can go back to aeration and overseeding.